The festive season is just around the corner. Our beautiful bars are ready to host your Christmas party. Cocktails, canapés, hot toddies, lashings of champagne & of course a Notes espresso martini or two. Our dedicated events team are here to look after your every need, so you just need to worry about who is meeting you under the mistletoe. Confirm your party before the 30th November and get a complimentary prosecco reception on us. Contact us now to find out more. Christmas cocktails, canapés & festive cheer! 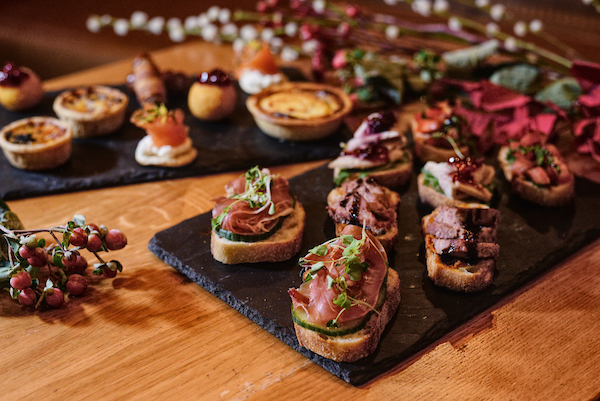 Our canapé packages start from just £19.95pp. See our Xmas menu & events pack or get in touch for a sneaky show around and a cheeky glass of fizz! Whether you are planning a drinks reception, a cosy gathering of family and friends or an exclusive party for the whole office our London locations (available for exclusive and private areas) are the perfect space to enjoy the festive season in style. Contact us here.